Read at least 3 times and ask an adult to sign your reading diary to confirm. 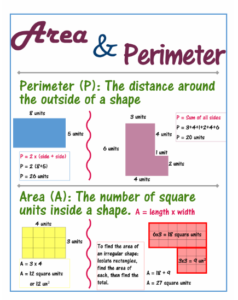 Children to complete maths homework on area and perimeter. Children will choose an appropriate challenge: 1*, 2* or 3*. Learn your spellings. Complete detailed sentences and definitions in your homework book. Children to complete the Reading 10 minute task – please support us and ensure they are only given 10 minutes to complete. This is a message to all parents involved in this years cross country races. The events start tomorrow at the Chetwynd Deer park with races starting at 4.30. While the event is only up the road it can be difficult to enter the grounds and access it through Newport at normal school finishing time. Taking this into consideration we are happy for parents to collect their children at 3 pm from the school office. This may be an opportunity for children to have a snack and enter the grounds with enough time before their race. For parents who have not participated before, we are all a very friendly bunch and please feel free to ask myself, the team or any veteran parent any questions. After parking please head down into the deer park where you will see a long row of schools setting up, we have a large school banner to mark out where NJS will be meeting, which I will leave in the trusted hands of a parent to set up (at least try to) as staff will not be leaving school until 3.30. Once we feel the majority of runners have arrived I will happily debrief all children and parents on the running of the event. Please refer to the letter from Telford and Wrekin regarding spectator rules, I have been contacted to remind parents there is no access onto the running track and we may not run around the outside of the course with our children. leave the hard work to the runners! Please ensure you are mindful of the weather, there is a great forecast for tomorrow so please ensure runners have adequate water and maybe a snack to refuel. Sun cream is also advised as it can be a long time without shelter and please bring a warm layer in case it drops cooler towards the end of the event. Children should bring running clothes to school to change into before being picked up however we have specific cross country tops I will be handing out before each race. Hopefully I have covered everything, I will not be available to talk to this evening due to parents evening but feel free to catch me in my classroom on Wednesday morning if you have any burning questions. REMINDER- There is no cross country/Games/Athletics club this week or next week.